NO HASSLE. NO FEES. NO OBLIGATION. We Buy Houses Boynton Beach in “As-Is” Condition, Can Pay Top Dollar and Can Close On The Date Of Your Choice! In Any Condition-Any Situation-Any Price Range. We Buy Houses Boynton Beach. 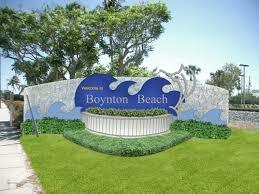 Sell Your Boynton Beach House Now. Do You Need To Sell Your House in Palm Beach County? We will buy your Florida house! We’ll know very quickly if we can help you, and unlike selling through an agent, you don’t have to wait to see if the buyer can get financing… we’re ready to buy right now! All that hassle can add stress, months to the process, and in the end after paying the agent’s expensive fees, you may or may not be ahead of the game. We work differently at Cash For My House. When you contact us and submit the short property information form (below), we’ll give you a fair all-cash offer on your house within 12 hours… and the best part is: we can close whenever YOU choose to close – it’s entirely up to you. It doesn’t matter what condition the house is in, or even if there are tenants in there that you can’t get rid of… don’t worry about it. We’ll take care of it for you. And if you need the cash quickly, we can close in as little as 5 days because we buy houses with cash and don’t have to rely on traditional bank financing. Tell us about your property. It's quick, easy and free! We'll contact you within 12 hours and make you a fair all-cash offer. We close with a reputable title agency. You walk away with cash in your hands!